Nodding with approval Eternal Vigilance applauds the eminently sensible decision by Immigration NZ in giving Nigella Lawson an exemption so that she can enter New Zealand and star in a commercial for Whittaker’s Chocolate. We also Salute Whittaker’s for bringing her to New Zealand and giving her the Role. Having just endured a very Public Court case and Divorce from a violent Husband… her private affairs were exposed to all and sundry… in particular her drug use which includes Cocaine and Cannabis. We at Eternal Vigilance endorse Whittaker’s Chocolates to our liberty loving ‘Munchie’ fans and hope they patronise this brand…. they are worthy…. and their Stuff tastes bloody good too! 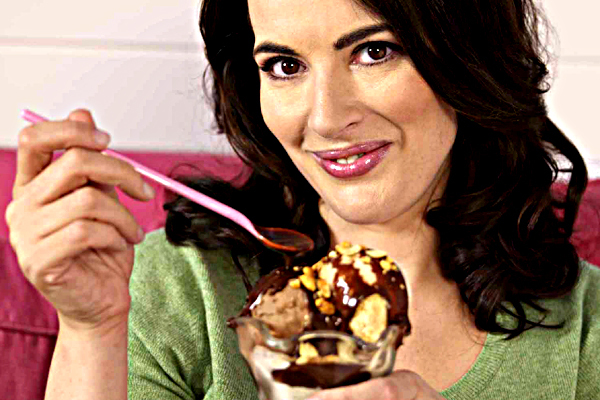 Nigella is certainly no threat to Kiwis. We warn her to take care to have her Blow stashed somewhere deep and inconspicuous because unfortunately our crappy little Barbarous Nation still persecutes her types. You are a much better Cook Than that Naked loser…. whats his name?… who cares! Seriously… We wish you well. Celebrity cook Nigella Lawson has been given a waiver to work in New Zealand next month, required because she was barred from the United States after admitting cocaine use. The British star is visiting New Zealand to make a new TV commercial for chocolate maker Whittaker’s — but she wouldn’t have been able to come without the Immigration NZ exemption. Previous PostThe strongest strains on Earth. High Times.Next PostThe Boy Mountain. Scott’s towering example.